Using professional cosmetic, that are intended your skin, helps your skin feeling good. You can find from our shop several top brands in the cosmetic industry, which are very quality. We are happy to help you choose the right products to everyday life or special occasions. Ask more from our cosmetologist. 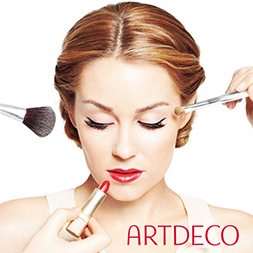 Artdeco is a German makeup company, who´s secret of success has been its constant focus on the individual wishes and needs of all women, combined with uncompromising quality and very reasonable pricing. Artdeco Makeup also offers an intriguing array of colours, from classic hues to the latest beauty trends. You can store your blush and eyeshadows in Artdeco Beauty Box, which has a unique magnetic system, so you can arrange your Beauty Box with colours you like. 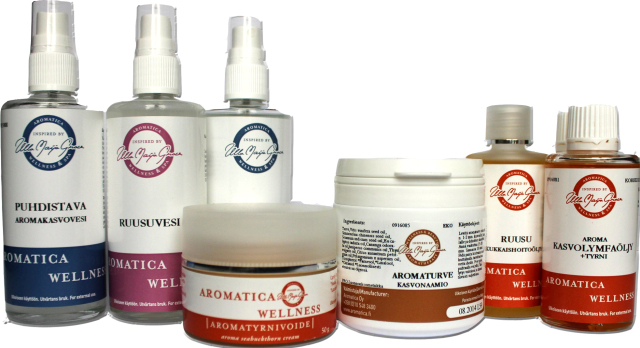 Aromatica Wellness products are Finnish and have been developed by the owner of the Aromatica, Ulla-Maija Grace. Aromatica wellness products active substances are compounds of many essential oils, which physically affects the skin and the body`s functions and also psychologically with the scents that affects the mood. All essential oils and vegetable oils used in the manufacture of the products are controlled and certified organic quality. Explore line of natural, long-wearing products, from primers to mattifiers, which nourish and protect your skin and show off your most even, fresh complexion. Created in various formulations to suit your needs, and in shades to flatter a wide range of skin tones, it's like therapy for your skin. Camillen 60 combines proven and traditional natural ingredients along with the latest innovations from cosmetic research to insure outstanding product quality and effectiveness. Formulations are based on the latest dermatological findings and characterized by an optimal efficacy and skin tolerability. All the Camillen 60 products are designed and developed in close cooperation with German podiatrists and chiropodists. Camillen 60 products include chamomile and many other natural and effective active ingredients that are suitable for the treatment of various foot problems. Italian DIBI Milano offers a complete targeted and selective beauty project based on the customer’s profile, characteristics and lifestyle. Lines with diversified and complementary actions are the mainstay of the DIBI MILANO face program. 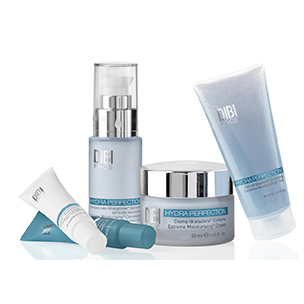 A world first in formulations, the exclusive Multi-Level Network Technology™ empowers the skin to fight back. Dibi Milano's clinically proven and tested dual-complex of Prevention and Performance, works against skin imperfections simultaneously on two levels. Dibi Milano's perfect complexity of active ingredients and renowned cosmetic science is formulated to work in complete synergy with Dibi Milano state-of-the-art technology; for a truly effective result. For over 30 years, Dibi Milano has been highly regarded among skincare professionals to strengthen and repair the skin and not to take away from the skin. 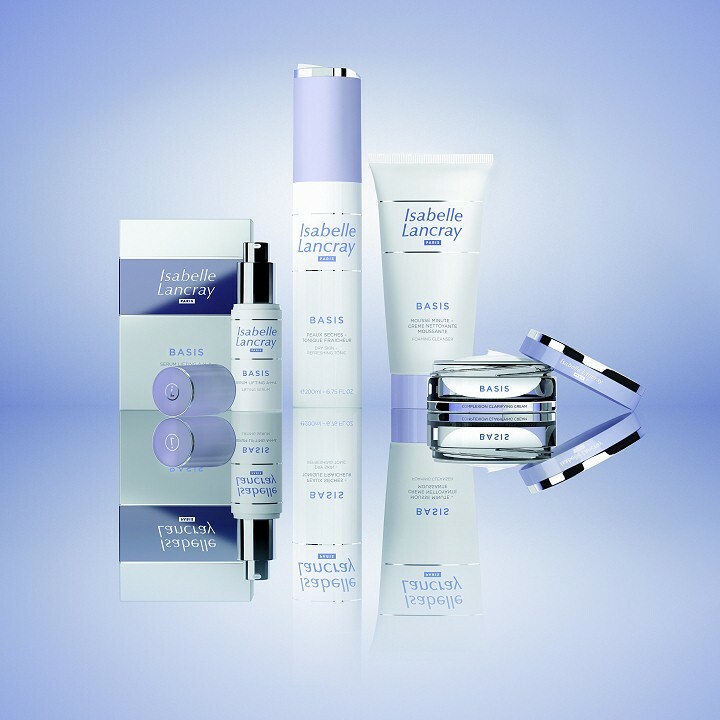 Isabelle Lancray is french quality cosmetic serie, which has been manufactured since 1946. Isabelle`s products raw-material and scents are definitely clean and is coming from the plantae and nature. Products available for all skin types and they can also be purchased at home, which supports the results achieved from the facial. Lumene has its origins in the 1970s and is now an international brand. In Lumene products the northern wild nature and scientific innovation confronts. The products combine the most effective natural raw materials and the latest technology to create effective skin care and makeup products. 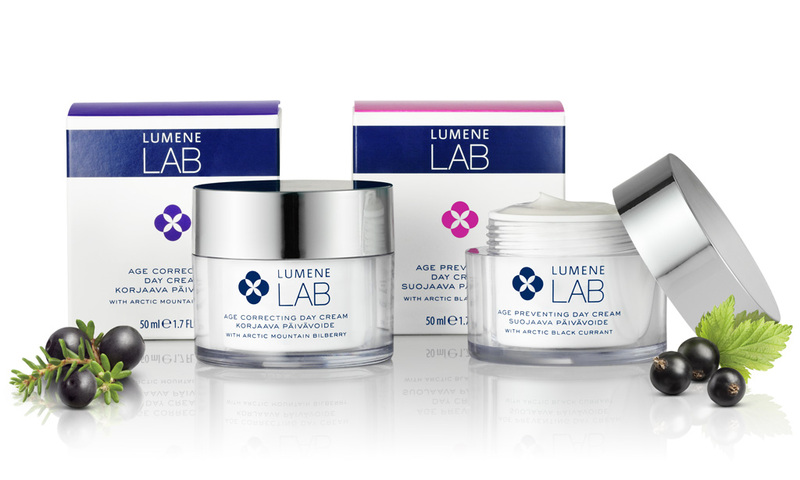 From our shop you can find Lumene´s face and body products.